There are many types of databases and data analysis tools to choose from when building your application. Should you use a relational database? How about a key-value store? Maybe a document database? Is a graph database the right ft? What about polyglot persistence and the need for advanced analytics? If you feel a bit overwhelmed, don’t worry. 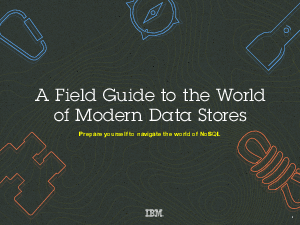 This guide lays out the various database options and analytic solutions available to meet your app’s unique needs. You’ll see how data can move across databases and development languages, so you can work in your favorite environment without the friction and productivity loss of the past.